Larry Weiner, the project leader for GSS SUPERCARS, has been creating award winning show cars and race cars for over 40 years both as an enthusiast, and an industry professional. After a successful career in the textile maintenance industry in Chicago that spanned over 25 years, he decided to follow his dream, and in the early 1990’s he started what became Performance West Group, Inc. It was at this time that Larry hooked up with Mr. Norm, the visionary who accurately predicted the immense impact baby boomers would have on the auto industry, particularly with regard to the emerging performance segment in the early 1960’s. Armed with this knowledge, Mr. Norm built Grand Spaulding Dodge into the leading high performance new car dealership of the era, and ultimately the number one Dodge dealer in the nation. Among his many achievements, Mr. Norm was the creative force behind the development and subsequent production of such legendary muscle cars as the 1968 GSS 440 M-CODE Dart. 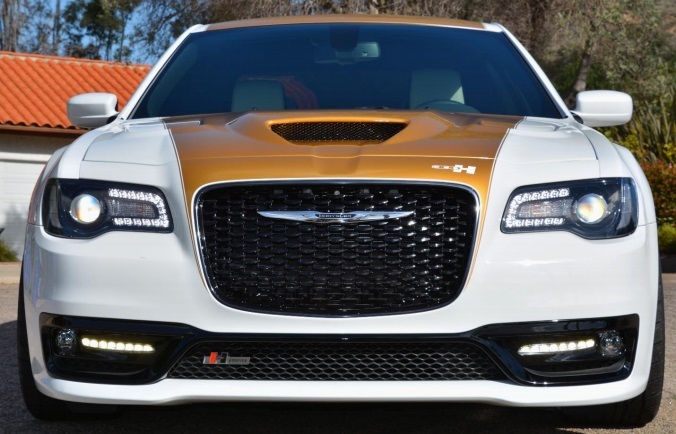 Today GGS SUPERCARS has created a unique package for the 2018 Chrysler 300S V8. 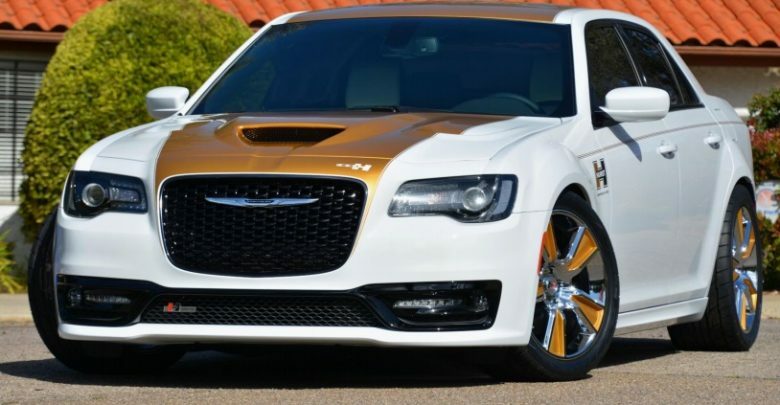 The Hurst Heritage By GGS Chrysler 300H (yes, its a mouthfull) is a unique take on the modern Chrysler muscle sedan, but added with the Hurst retro twist. The "Gentleman's Hot Rod" if you will. Only 50 of these cars will be built. 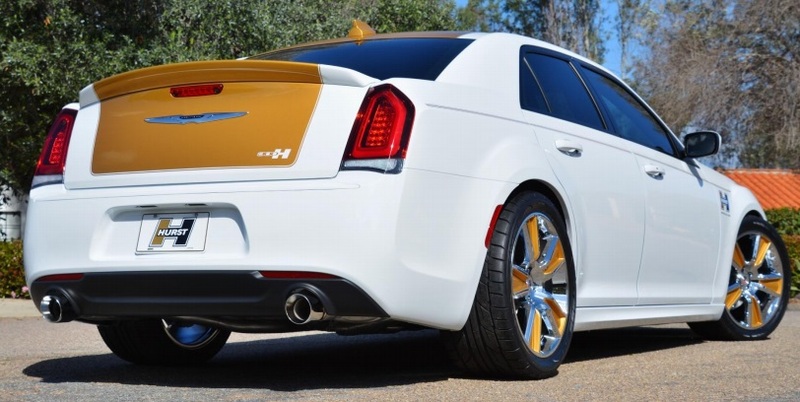 The package is designed for 2011 to Present Chrysler 300s. The Hurst Heritage By GSS Chrysler 300H package isn't cheap. Pricing for the package starts at $17,995 for the limited 50 car run. For more information, click out GSS SUPERCARS website. How to ruin a classy car. If it had been black instead of gold it might’ve looked better... but I prefer cars without the gaudy accents. l see a few Themas around, and it is to me a car with presence and class. Unfortunately, they only sold it with the diesel and the V6 here. Had they sold it with a V8, l would have been sorely tempted. A few months ago, a friend of mine imported a SRT from the Emirates. What a blast it is to drive. Not worth $17,000 on top of a new 300. Black accents, black wheel inserts = beauty. 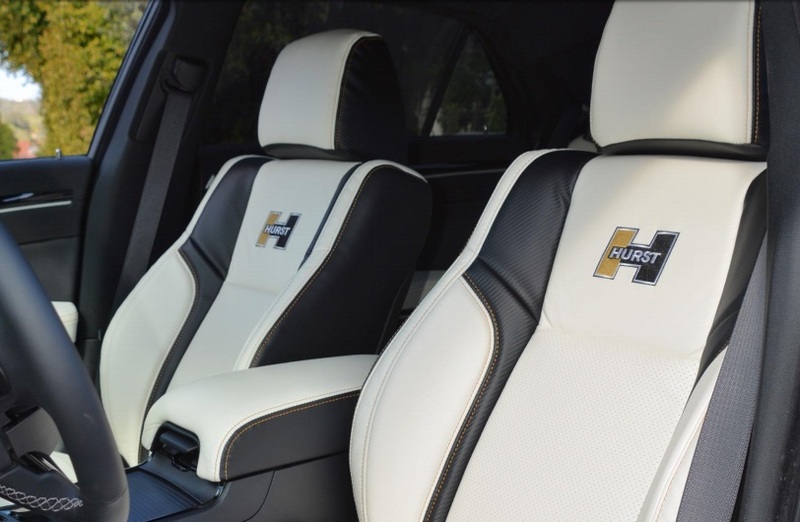 Then it wouldn’t be a tribute to former Hurst vehicles. Maybe gray and gold instead of white and gold wouldn't have looked so bad. 1970 Chrysler 300 Hurst cars also didn't come with Hurst shifters either. I know this is a blasphemy, but as a 25 year old I have no idea what heritage the "Hurst" name carries. That’s ok, the car is not being marketed to your generation.